Gogoi was withdrawn by the Ministry of Home Affairs (MHA) on Thursday leaving his party Congress, enraged. Following MHA's decision, all NSG commandos, attached to Gogoi, were withdrawn from his security cover. The decision came months after the protection review group had recommended to the MHA to withdraw Z Plus security cover to Gogoi and several other politicians. 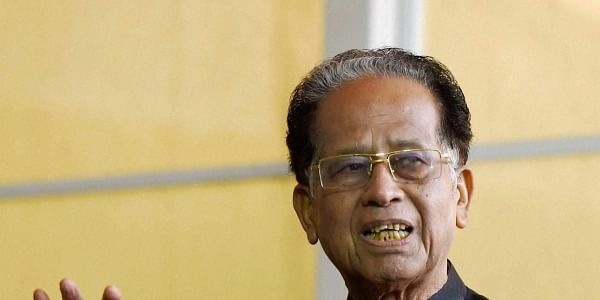 The 82-year-old Gogoi was provided the elite security cover more than a decade ago for the perceived threat to his life from extremist elements in the state. Congress was quick to slam this decision by MHA. “By withdrawing Z Plus security cover, the BJP-led NDA government has shown how vindictive they could be. It’s been just six-seven months that he demitted the office of chief minister and the perception of threat to his life is still there. If something happens to his life tomorrow, the MHA will be held responsible,” Pradesh Congress Committee president Ripun Bora warned. Leader of the Opposition in the assembly, Debabrata Saikia, dubbed the MHA’s action as a conspiracy. “The Z Plus security cover to the former chief minister was withdrawn as he has been vocal against the BJP-led state government on various issues. It’s a conspiracy against him and the Congress party. We request the MHA to revoke the decision,” Saikia said. Gogoi has been very vitriolic in his attack of BJP in recent months on a range of issues, particularly price rise and the Centre’s move to grant citizenship to non-Muslim (read Hindu) immigrants of Bangladesh. Two-time former Chief Minister Prafulla Kumar Mahanta is now only politician in Assam, who continues to enjoy Z Plus security cover. His Asom Gana Parishad (AGP) is a partner of the state’s coalition government.